Are you planning on going on a trip? 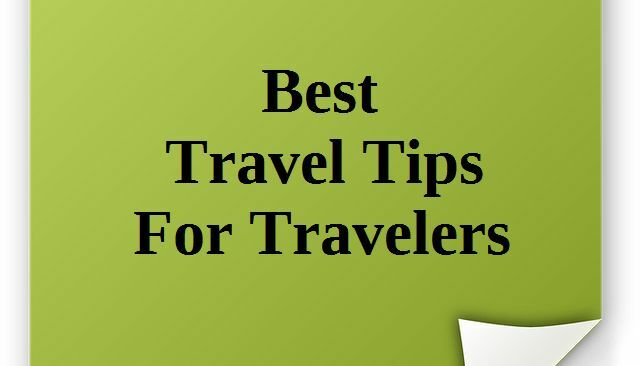 Well, whether it’s your first time or umpteenth time, there are a few travel tips that you should keep in mind. • Make sure you have stashed some extra cash for any emergencies and fun activities you’re planning to do. • Find the best ways to meet the local people and get indulged in their cultures for the best experiences. • Don’t forget to bring a camera to take lots of photos of the trip. If you want to make everything memorable, you can actualize it with photos. • Keep your passport and credit cards safe during the trip to avoid identity theft. Are you going on a long haul flight? Are you afraid of getting jet lag when you reach your destination? Well, you need to know how to reduce and avoid jet lag altogether. Here are some useful tips to help you beat it. • Avoid taking sleeping pills before going on the flight because they will make you feel fuzzy when you land. • Don’t take alcoholic or caffeinated beverages on or before the flight because they will leave you dehydrated and make it hard to recover from jet lag. • Finally, you should change your watch if you’re going to a different time zone to avoid any time inconsistencies. Hiring tour agents in Escazu has become outdated especially with the wealth of information available online, however, did you know that there are benefits to hiring travel agents? Here’s what you need to know. • Travel agents have been to most of the destinations in the world so they provide the best experience and advice for any new traveler. • They have a lot of partnerships and connections with cruise lines, airlines, and resorts. Therefore, you can access the best deals by working with a travel agent. • Finally, a travel agent will provide a personalized service where he/she will listen to your needs and craft a perfect vacation for you. There are 13 hotels, 140 restaurants and 25 things to do just in Escazu alone. Ciudad de las Brujas awaits you as you plan your Costa Rican vacation in the San Jose metropolitan area. Get ready for some adventures, including nature and wildlife tours. Would you also like to go river rafting and tubing? There is a Butterfly Kingdom, too. We will get to all of that, one step at a time as we look together at a few adventures you might want to experience in Escazu, Costa Rica. Let’s first talk about nature and wildlife tours that you might want to take. You will certainly want to visit individual attractions, but the custom tours that are available can help you see more and do more. Plus, you will need to book guided tours to get to some of the places anyway. Combined tours might be an option for you, and you want to make sure that you reach out to the best tour company. One of the tour companies available to you is Abner’s Custom Costa Rica Tours. Now let’s take a look at the Butterfly Kingdom. It is located at Del Grupo Santa Barbara, and people say that this attraction is a must see or must visit. Reviews mention that it is a big hit with the kids. Not only is it fun but educational, and it is said to be quite the enchanting place. You will see all kinds of butterflies, and you can learn about all of them, too. It is said that the owners of the place are very friendly, too, making the visit even better. When you book private tours, make sure you look into rafting and tubing adventures. There are all kinds of day trips that you can take in Escazu. One place you might also want to visit is the Multiplaza. It is the #1 ranked place of interest in Escazu. It is located off of Autopista Prospero Fernandez Highway, and it is a large shopping mall, complete with a food court and all. Most of the time you are in Costa Rica, you will want to be experiencing nature. However, you might want to take a break and do some shopping in Escazu, Costa Rica at the Multiplaza. You might also want to venture outside of Escazu if you have time, but there is certainly plenty to do there without having to travel all around Costa Rica.